The kids came in from the hotel lobby with their dad. They had been enjoying a snack downstairs while I packed some bags and reorganized for checking out in the morning. The hotel room was small, and I had struggled to get five peoples’ stuff back where it belongs. I was sporting a messy little too-short ponytail just to keep my hair out of my face while I worked. The three children looked up at me with big eyes, and every single one of them–even Emerald–almost simultaneously said, Mama! Your hair looks pretty! Inside, I laughed. Because my hair most certainly did not look pretty. But, instead of saying the first thing that came to mind (something like, Oh, my hair’s too short to wear this way and I don’t have the face to pull it back anymore and y’all must need glasses if you think that this mop looks good right now), I said thank you. I have plenty of opportunity to broadcast to my children all of the things I don’t like about my appearance. When Adelade is lounging on my bed while I get dressed I could easily rant to her about the fit of my clothes or my most annoying body flaws. When Sawyer sits in the bathroom with me, chatting away while I put on makeup, I could certainly describe to him all of the things about my face that I would change. I could regularly tell my kids things about myself that are completely contrary to the way that they see me, if I told them the thoughts that come to my mind most days. But, I don’t do that. I will never tell my children negative things about my own appearance. Because they are learning from me how to view themselves. When they listen to me talk, they are figuring out what is important about people. If I continually talk about my own appearance, I’m showing them that weight and height and eye color and hair and skin are what determines the worth of a person. And, I want them to maintain their far superior notions that people are made beautiful because of who they are, not what they look like. After all, that really is the reason that they thought my little pony tail was pretty. And it’s why they don’t seem to care if I have makeup on or not. They would be perfectly happy hanging out with the least attractive version of me any day of the week. They think I’m beautiful because I’m their mama. And I love them. I would much rather see myself the way they see me. So, you won’t catch me uttering a word about my weight, my hair, or my aging face. I want my children to see themselves with just as much grace as they see me. The way I can teach them to do that is to offer a little grace to myself. You, too, Mama. Extend a little grace to yourself today. While you’re at it, extend a little grace to everyone else, too. And show the world what beauty really is. Some of the greatest problems of the world are almost solved while a child naps. His mother, in these rare special moments of quiet and solitude, can almost get lots of things accomplished. But, every project or great thought she tries to focus on begins to get off the ground right as she hears her child stirring. And, because she is a mother, the project, the great thought, and her own interests are put aside to go and comfort and be with her child. And after this happens several hundred times, the mother begins to realize that her greatest thoughts, her greatest interest, and her greatest project actually come, not from the quiet alone moments, but from the chaotic or challenging or giggling hours and days and months and years spent with her child. She finds that she understands so much more about mankind. She experiences the grace of God on a new level. And she has many, many great and lofty and imaginative and breath-taking thoughts that most people will never hear or understand. Because she is busy being a mother. The nose wiping, the bump kissing, the lunch making and the vomit cleaning are all necessary evils, and honestly, they don’t bother her much. Her focus is elsewhere. She sees light in her child’s eyes. She sees a beautiful, shiny little soul. She sees love– honest-to-goodness, who-cares-if-you-have-makeup-on, you’re-my-favorite-of-all-time, heart-breaking, heart-aching, gorgeous, generous, gracious, life-giving love. And it brings out the best in her. So, when you see her struggling at the mall with her three year old, when you see her dropping off a crying baby at the church nursery, when you see her covered in spit up or walking in to the doctor’s office with a child on her hip and a bowl in her hand, stop and admire her. She has many, many heart-splitting moments ahead of her. And she dives in with her eyes wide open. 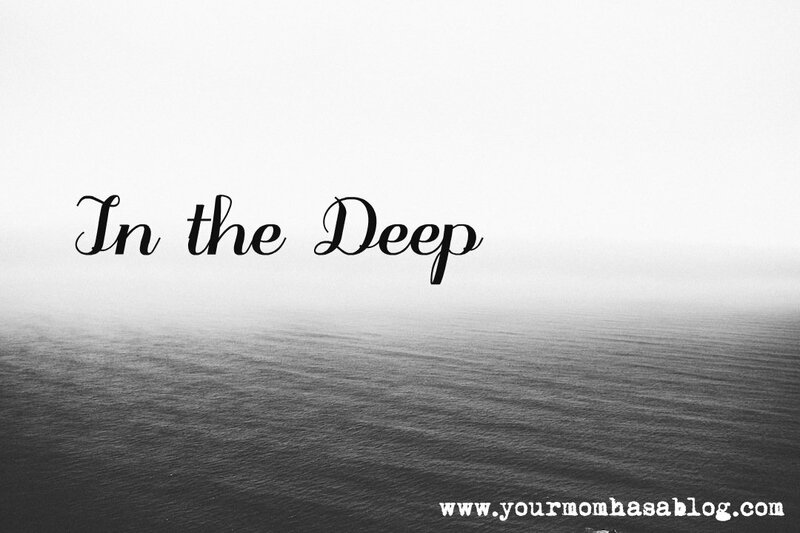 Because the mother knows that in the deep waters she will swim. She must. She is a mother. Motherhood brings many gifts. One of the greatest is getting to see yourself through your child’s eyes. I’ve noticed that children carry inside their little beings loads of grace. It’s as if they are born with extra measures of grace to hand out to others. I’m not sure why we lose that as we get older. It seems like we get stingy with grace as we age. 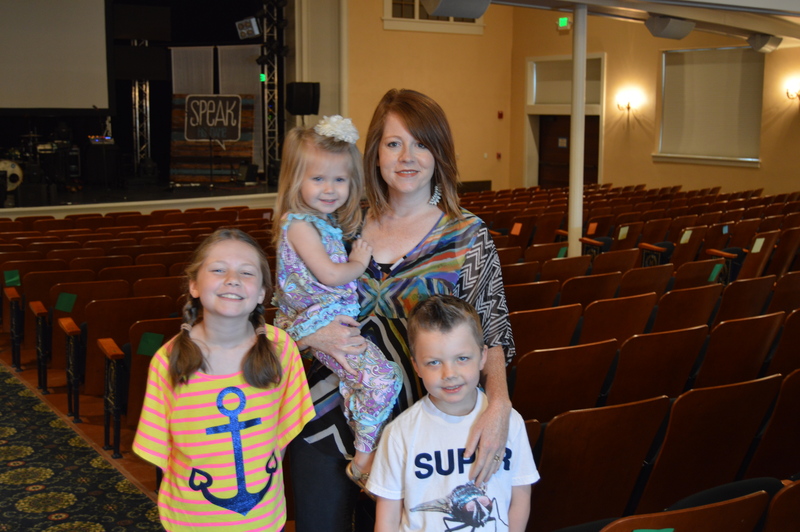 But, when I see myself the way my kids see me, it’s as if I get a special little nudge from the Holy Spirit. This is how God sees you, he seems to whisper. When they love me despite my faults. When they go out of their way to show me how much they care about me. When they truly seem to think I’m the best thing they’ve ever seen, even though I’m a dork and awkward in a lot of ways and of course one of the most experienced sinners that they know. They don’t seem to see any of that. They just love me. Last night I got one of those special messages of grace. I have been really beating myself up about some of the things I say. My mouth is such a detriment to my spiritual well-being. Sometimes I think about things that I’ve said about someone, and I cringe inside and my whole being reminds me that I am such a weak person, that I’m such a long way from killing off my sinful nature. And then I stop and think of where Adelade was when I said it. And I picture her sweet face, eyes intently focused on me as she watches me sin. And I wonder how she can stand me. The mother who seems to expect her to always do the right thing. The mother who preaches one thing and often does another. The imperfect mother. The hypocrite. And I wonder the same thing about God sometimes. How can He stand me? How can He look at me and think that I have anything to contribute to His kingdom when I can’t even shut my mouth? In front my children at least, for crying out loud? And there it was. The message of grace I needed to receive. In that moment, all of the truths that I know about God, myself, and my children came flooding back to me. In that simple phrase I remembered that God sees the righteousness of Christ when He looks at me. I remembered that yes, I am weak, and in my weakness God can shine and show off His power and might. I remembered that my children know I’m not perfect. And, trying to act as if I am would be foolish. They need to see me mess up and make things right. They need to know that I have as much grace for them as they have for me because I KNOW WHAT IT’S LIKE to do what my spirit says not to do. I understand how easy it is to let the sinful nature rule your mouth and your actions. They need to know that about me because they need to know that I need grace. They need to know we all need a Savior. It just keeps amazing me how I try so hard to be an example for my children, and over and over again they end up being an example for me. I want to remember that I am living in an unchanging state of grace, that I am who God says I am, and that Jesus has already paid for my past, present, and future sins. When I am feeling worthless, God, often through my children, reminds me that I am loved. This love isn’t conditional. It isn’t based on anything I do or don’t do. It is based on who I am. I am a child of God, and I am my kids’ only mother. I’m so thankful for the grace that God shows me. I’m so humbled to know that even when I mess up, He sends me messages of love. And this is how He gives me strength to continue to fight against my sin. These children and this Savior, they make me want to destroy forever the sin in my life. Like Adelade’s message in the mirror, there are whispers of grace all around me. When I see myself through my childrens’ eyes, I can see the beauty that God has infused into my spirit. 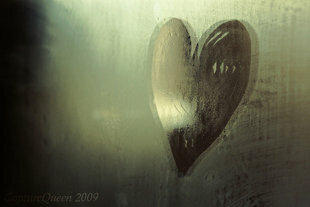 Even when things get foggy, when sin makes my reflection unclear, I see His writing on my soul. It says, Melissa, I love you. 1. He might be a democrat. I was worried that his extended family were democrats and that he would wake up one day and decide to vote the big D. At 20 years old, this was my big concern. Nerd alert! Number two came up because during college he had a talent(?) for writing contraversial letters to the university newspaper. I actually think he only wrote two, but the second led to a meeting with one of the college administrators who responded with some wise words: “I wouldn’t give a nickel for ten 20 year old boys.” And, on the surface Chad was the ultimate poster child for twenty year old boys who would give old men a headache. He was a passionate about things. He had long hair, a rock band, and a great collection of thrifted clothes. He was funny. His professors loved him despite his 20 year old boy status because he was a nice guy. And, of course, he is the smartest person I had met then or have met since. The pro list was long. I used up the whole front page of my paper and moved to the back. It was obvious that I was madly in love with him. And, even my reasonable self couldn’t come up with enough reasons to deny it. I ran across that list many years later and had to laugh at myself. I was so cautious. So nerdy. I was so dependent on my own reasoning skills, and hoped that they would trump my undeniably out of control love for this boy. But, there was no hope that would happen. I was blind to Chad’s flaws as he was blind to mine. We chose not to see in each other what might be problematic in the future. We forgave shortcomings because we were so in love with all the good things about each other. And, I’ve decided that’s the key to a happy marriage. Let love overshadow those flaws that come out every once in awhile. Focus on what is good about your spouse and forget about what is bad. Chad and I have accepted so many things about each other that once drove us crazy (especially him, poor fellow), and we are letting love shine brighter than the glaring faults that could distract us. It’s not easy to do every day, but it is a day by day choice. If I had to make a pro and con list about Chad today, I could probably come up with a few more cons. After all, he is so good at Bible Trivia that I am almost refusing to play him anymore. But, I can honestly say that there isn’t enough paper in our house to list all the things about him that I admire, love, and cherish. I’ve watched him grow as a man, a husband, and a father. He has taught me so much about God’s love. He has given me three little mini-Chads to live with and for. God really protected me from my own ignorance when I had no idea what I needed or wanted in a mate. I’m convinced it’s God’s grace that makes us such a good match. We are imperfect. We mess up. We argue. We laugh a lot. And, the good in our marriage comes from Him. What a miracle that in this world filled with sin, inside once wicked hearts that have been redeemed by Christ, this kind of love can live and endure and extend to three other little dolls who are loved by no one else in this world they way they are loved by us. This love grows and grows as years pass. This love is real. As real as a pro and con list. But, better.